No reviews, today, as there's some things that I really need to get out. First up: taking a bit of a closer look at 20 of the most exciting comics works coming out this year. Comics books, more than anything, are run very close to the bone, with dates always subject to change, so of course there will be fantastic work releasing in 2014 that I'm not even aware of yet and hasn't been announced. This, then, is a pretty subjective list of titles (graphic novels only) I find interesting and am very much looking forward to, and hope you will, too. I'm slightly late with the list, considering the first 2 titles listed are already out here in the UK, but I hope it'll be useful nonetheless, and get you excited about the year ahead in comics. 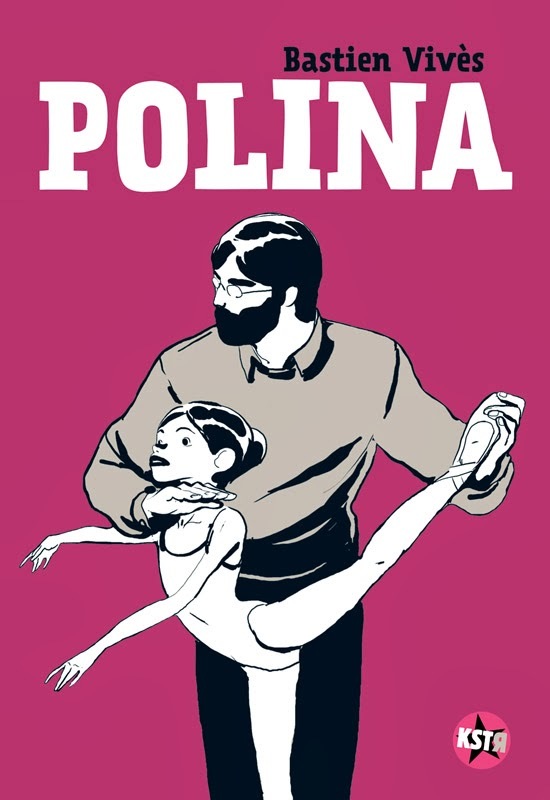 Polina by Bastien Vives, Jonathan Cape (January): The second of Vives' books to see an English language release, after Cape published A Taste Of Chlorine a couple of years ago, and for me, one that surpasses that title. Polina is a young girl enrolled into ballet school, and Vives traces her life as she grows and navigates the notoriously harsh professional dancing world and the life choices and lessons she makes and learns along the way. Like many people, I'd been admiring Polina since it's original French language publication, marveling at Vives' sublime figurework, but it's not a book that's let down by narrative either. 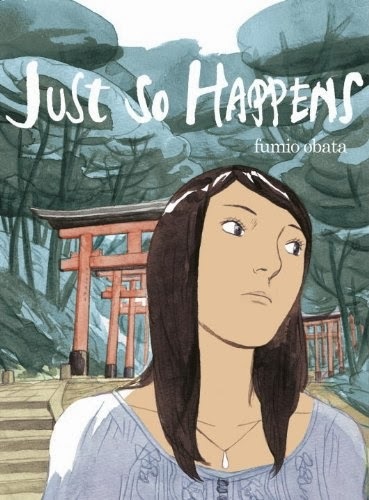 Just So Happens by Fumio Obata, Jonathan Cape (February): Obata's debut graphic novel, like Vives, follows a young woman, Yumiko, who must return to Japan after receiving news of her father's death. Yumiko, though born in Japan, is British, and has spent most of her adult life in the UK and going back to Japan raises the question of what defines 'home' and where it's located. Obata had an advance copy at thought Bubble last November, which I was lucky enough to get a glimpse of, and his artwork is gorgeous and delicate, as you can see from the cover. 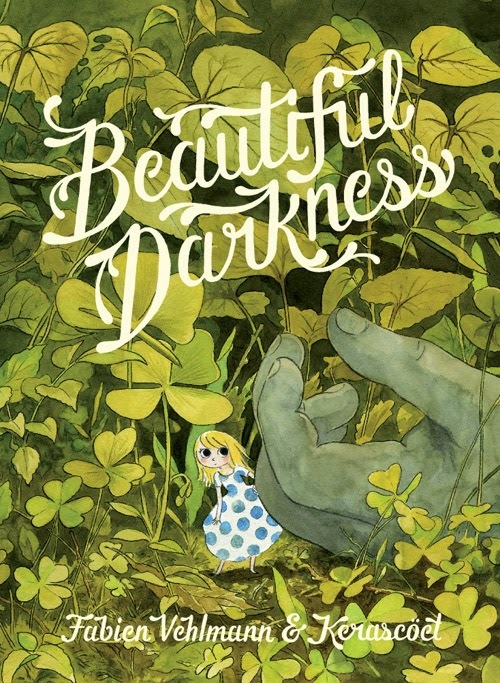 Beautiful Darkness by Fabien Vehlmann and Kerascoet, Drawn and Quarterly (February): Joe McCulloch described this as 'Miyazaki crossed with Josh Simmons,' D&Q publisher, Tom Devlin, as 'the Borrowers and The Lord of The Flies' and from the descriptions and preview, that sounds pretty on-point. The story is roughly about a group of fairies struggling for survival in a harsh woodland. If all that doesn't intrigue you, I'm not sure what will! Nijigahara Holograph by Inio Asano, Fantagraphics (February): As many have commented, we are currently experiencing an extremely rich period for translated properties (this list alone carries 6 such titles), and I'd hope tha people are trying and reading authors who may be new to them, but are amazing nonetheless. 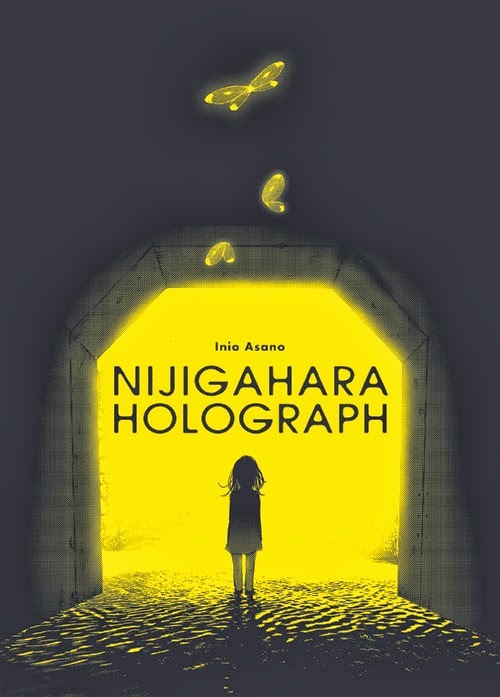 Here we have Fantagraphics with an Inio Asnao (acclaimed Japanese comic creator, most famously for Solanin) book- Nijigahara Holograph. A horde of butterflies swathe a town, leading to rumour of their provenance: an ominous creature in the tunnels behind the school. As murder follows, a group of children decide to take matters into their own hands. 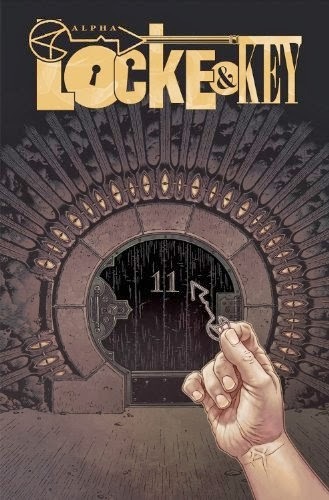 Locke and Key volume 6: Alpha by Joe Hill and Gabriel Rodriguez, IDW (March): The final volume of the finest horror comic of recent years. The story of the Locke children, who move into a new town after their father's murder, to discover a set of magical keys which open into parallel worlds and times. Travelling through time and realities has allowed the children to unravel various mysteries, but it has also let through things which they are yet to understand. One of the most suspenseful, taut book/series you'll read. Hilda and the Black Hound by Luke Pearson, Flying Eye Books (March): Pearson returns with another of his delightful Hilda tales, this time under Nobrow's children' imprint, Flying Eye Books. 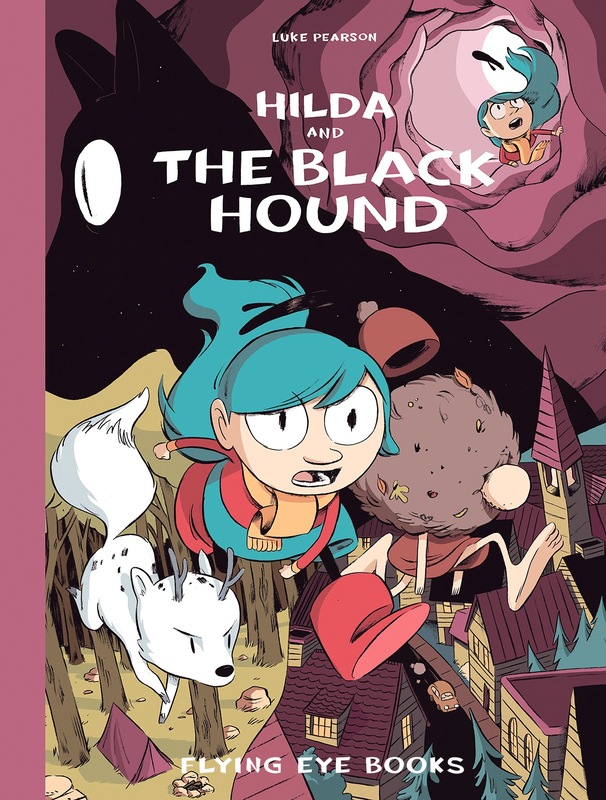 The Black Hound sees Hilda continue to come across things that are real and yet not quite so, this time in a tent she's pitched inside her bedroom, inhabiting that magical world that only children seem to reach. Pearson's beautiful art always make these books an event, for adults and kids alike, and I'm sure this one will do as well as its predecessors. 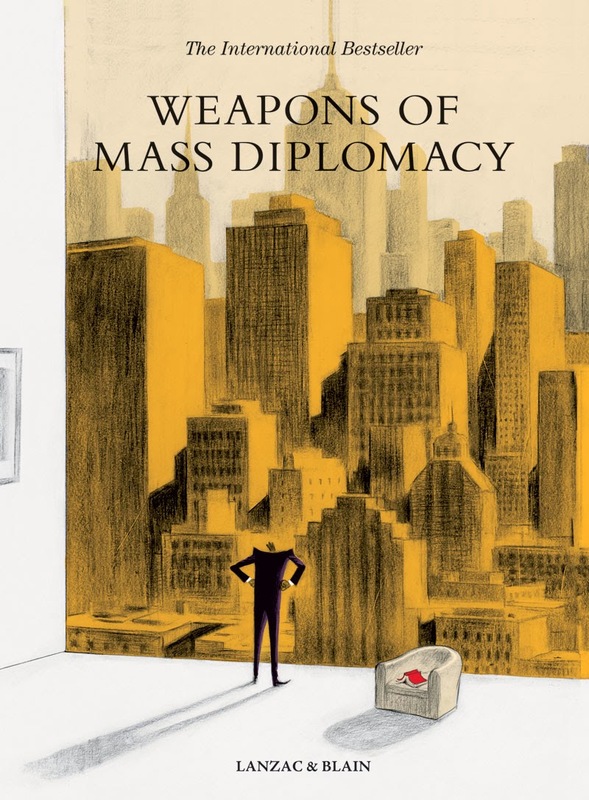 Weapons of Mass Diplomacy by Christophe Blain and Abel Lanzac, Self Made Hero (April): I'll always buy anything Christophe Blain puts his name to, and this award-winning political satire, penned by Abel Lanzac (pseudonym for Antonin Baudry) is based on the latter's experiences of working as a speechwriter for the former foreign minister of France, is something I'm looking forward to greatly. Both Blain and Lanzac are attending the Toronto Comics and Art Festival in May this year to coincide with the Canadian and North American release of the book. 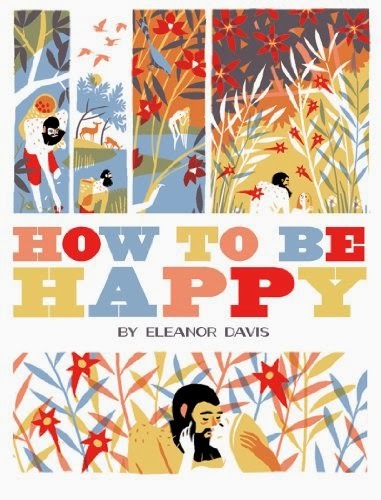 How to be Happy by Eleanor Davis, Fantagraphics (May): I've only ever come across Davis' comics in anthology publications, like Nobrow and Mome, so a collection is well overdue and very gratefully received. She's a superb cartoonist: distinctive, evocative and very aesthetically pleasing, and I hope this book will introduce her to the wider audience she deserves. 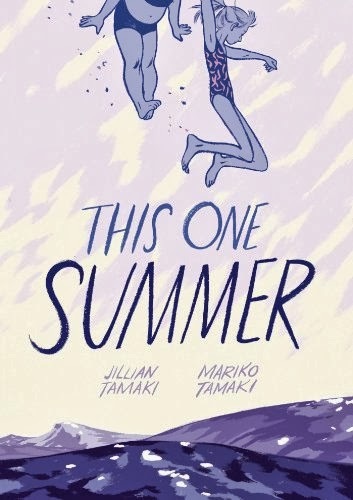 This One Summer by Jillian and Mariko Tamaki, First Second (May): This is one of those books that's already on a lot of people's radar and the second collaboration between the cousins Tamaki after 2008's critically acclaimed Skim. This One Summer is similarity themed around adolescence, and growing up, as it focuses on Rose and Windy and the summer they spend at Awago Beach, a summer that's different to all the the ones that have passed before. 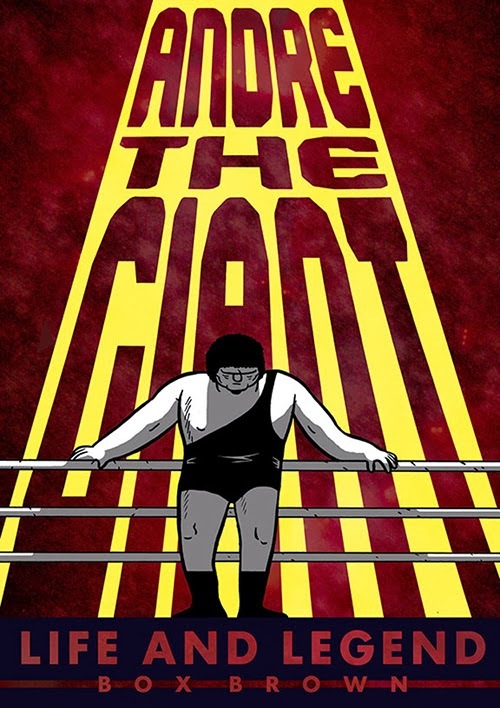 Andre the Giant by Box Brown, First Second (May): If you're going to do a biography on someone, who better than one of the most charismatic, affable and compelling pop culture icons of wrestling and entertainment: Andre the Giant? As well as being close to his heart, Brown's choice of materiel is the kind that has innate crossover appeal, and his angular, stripped back cartooning seems to lend the subject matter a curious resonance. All the elements for a stand-out title are pretty much present here, let's hope the execution is as good. 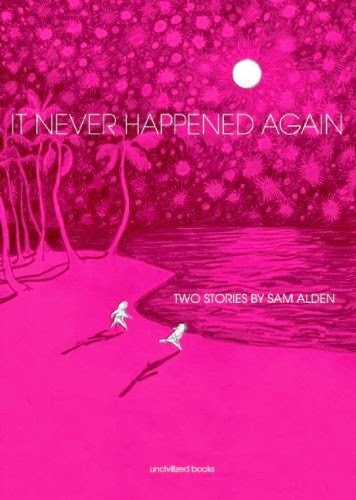 It Never Happened Again by Sam Alden, Uncvilised Books (June): 2013 was what people refer to as a 'breakout' year for Alden, he published more than 6 new comic online- on Tumblr and his own website, proving hugely popular and garnering critical accolades. Wisely, Alden only produced small print runs of certain comics, and mostly for festivals or cons he was attending. This year he has a few titles releasing with various publishers, and it's time to see how that transference from online-superstar to published artist translates. It Never Happened Again is the first book he has coming out, containing his Hawaii 1997 comic, and a new work, Anime. Get Over It by Corrine Mucha, Secret Acres (tbc): It's no secret I'm a huge Corrine Mucha fan, and it's not without reason. As much as I love her mini-comics I'm thrilled to have a long-form work to sink my teeth into, and for other people to get ahold of- mini-comics can often pass people by. 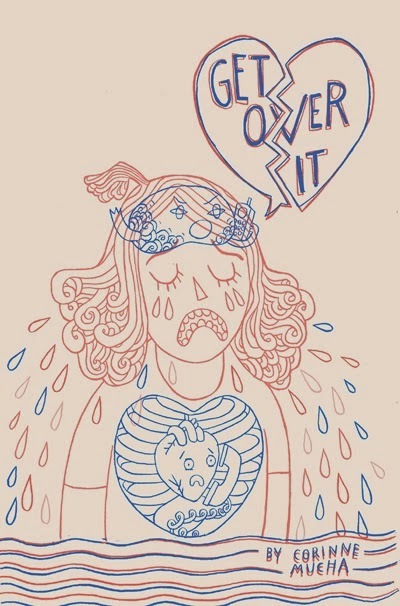 Get Over It sees Mucha elaborate on the themes and issues of her mini-comic, My Every Single Thought, which explored the constructs, perceptions, and associations of women and relationships. If that description puts you off, you'll only be missing out: Mucha is fiercely intelligent and blisteringly funny, and yet somehow never seems to come off as judgmental or preachy. 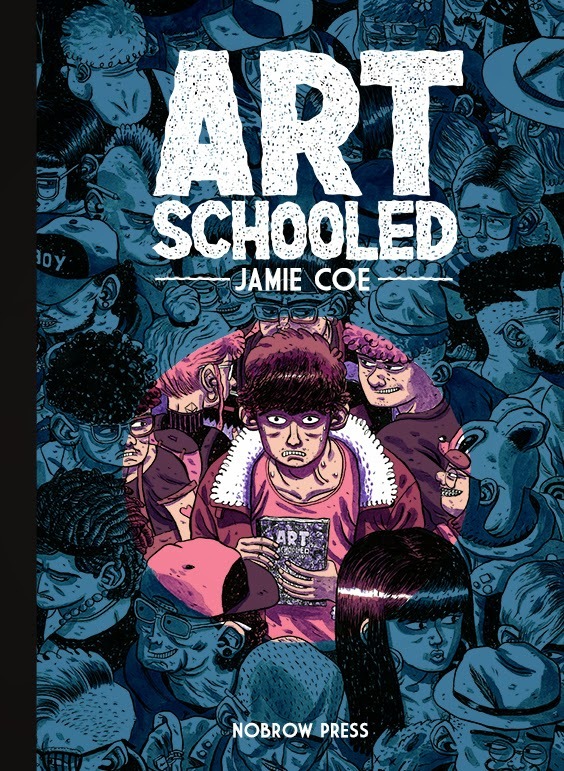 Art Schooled by Jamie Coe, Nobrow (tbc): I only discovered Jamie Coe's fantastic comics work towards the tail-end of last year, so it was super exciting to learn that he'd already been snapped up the eagle-eyed folks over at Nobrow, with whom he's releasing a book later in the year. And they were kind enough to give me -and you!- an exclusive look at the cover (click to enlargen for best effect). The plot of Art Schooled sounds straight-forward: Daniel Stope's a small-town guy whose acceptance into the art school in the city is a dream fulfilled, though he finds things aren't the way he envisioned. What makes me really anticipate this book is the way Coe approaches his work, his vision (as lofty as that may sound), and his unique illustrative style. I'm sure it'll be anything but straightforward. 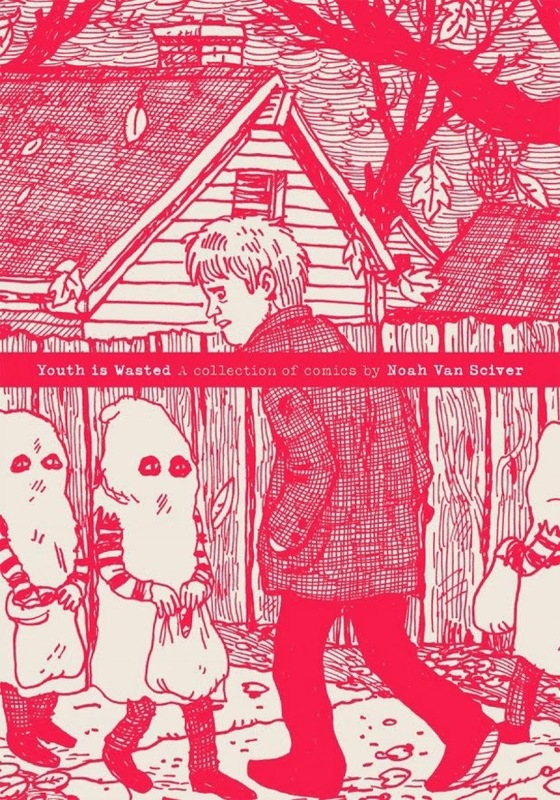 Youth is Wasted by Noah Van Sciver, AdHouse Books (June): Van Sciver is another of those cartoonists who really should be read by a whole load more people. He's been releasing mini-comics, most significantly his Blammo series for a long while now, and published his Abraham Lincoln book, The Hypo, with Fantagraphics. He's one of the few artist who have a great autobiogarphical voice- and I think that's natural, it's difficult to pull off putting yourself across as intelligent, humorous, sarcastic and interesting simultaneously, whilst reaming affable and relate-able. It's the kind of the thing many want to do, but fail at. Youth is Wasted is a collection of his work over the years, and one you should pick up. 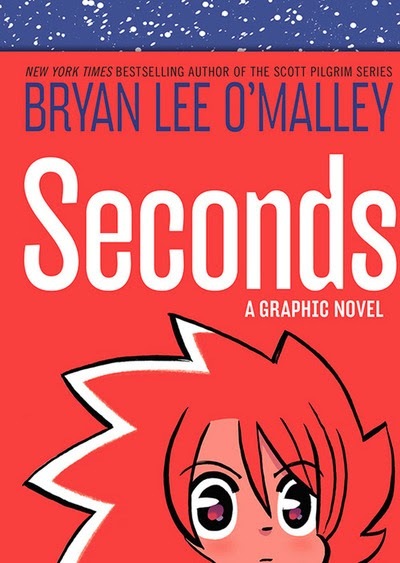 Seconds by Bryan Lee O'Malley, Ballantine Books (July): O'Malley's follow up to the hugely successful and much loved Scott Pilgrim series, is one of those books that seems destined to do well: he has a large amount of fans and supporters, but let's not forget he's a damn good cartoonist also. There's not much information around on Seconds, other than it centers around a restaurant of the same name and those who work there, most focally a girl called Katie. The book will be in full colour and hardcover, so it's getting a nice treatment. 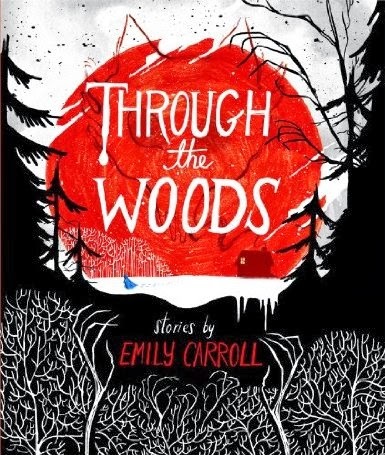 Through the Woods by Emily Carroll, Margaret K. McElderry Books (July): Emily Carroll makes her print debut this July, with a collection of brand new horror stories, including a re-worked version of His Face All Red. I posted a good length preview of this in December, which you can view here. as ever with Carroll, you can expect dark, folk and fairy-tale influences coupled with her striking, lingering visuals. Another book that most comics fans will be getting their hands on. 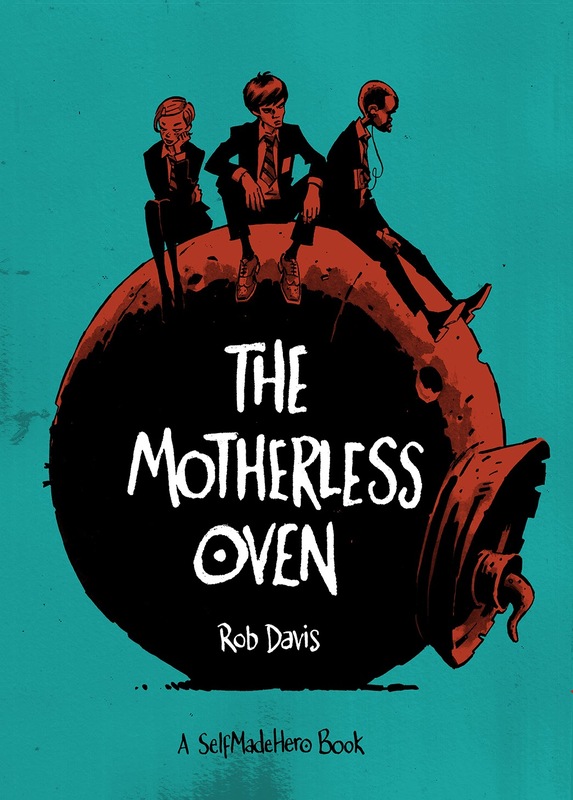 The Motherless Oven by Rob Davis, Self Made Hero (tbc): This is another book that's really got me excited, with rob Davis creating a bildungsroman with a difference. Scarper Lee lives in a world where children build their own parents, know the exact date of their own deaths, and where it rains knives. Startling to the reader, but to Lee, normal, even mundane. Until something happens to shake Lee out of his indifference and take action. Forbidden Planet have some preview art if you fancy a look; very intrigued by this one. 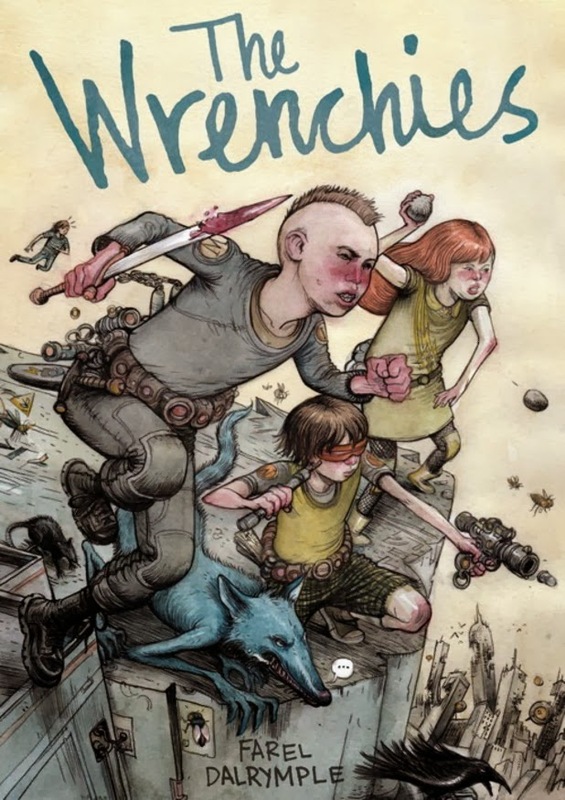 The Wrenchies by Farel Dalrymple, First Second (September): While we're talking abut future-scapes, Farel Dalrymple finished his 5 years in the making book, The Wrenchies, and it certainly looks to be worth the wait. Set in the same dystopian future world as his web-comic, It Will All Hurt, it features a group of kids navigating the planet, it's harsh terrain and the range of monsters that inhabit it. Dalrymple's warned that this is at times a graphic book, emphasising that he wanted to include events that kids often have to deal with in reality. 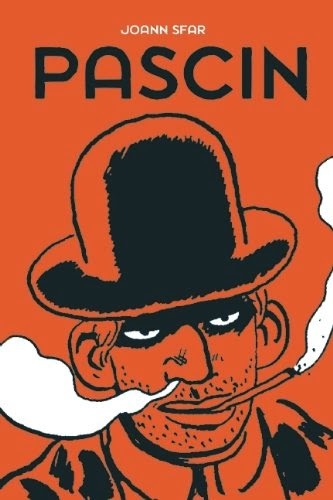 Pascin by Joann Sfar, Uncivilzed Books (tbc): A Joann Sfar book- it's got to be on the list, right? 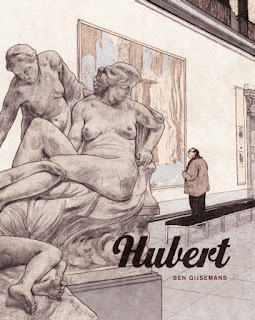 Amazon shows Sfar's biography of the artist from Uncivlized Books as due in May, but the publisher recently released their spring catalogue and it wasn't on there so I think it may be well be scheduled for later in the year. Either way, this book, which not only serves as a biography, but also a personal work, as Sfar draws together the threads of comparison and artistic kinship between himself and the painter, is sure to be interesting at the very least. Blacksad: Amarillo by Juanjo Guarnido and Juan Diaz Canales, Dark Horse (tbc): I confess I thought we would have to wait until 2015 to get an English translation of the 5th volume of Blacksad, but I've heard from a few people that we could quite possibly get it at the end of this year, which is tentative cause for premature celebration. 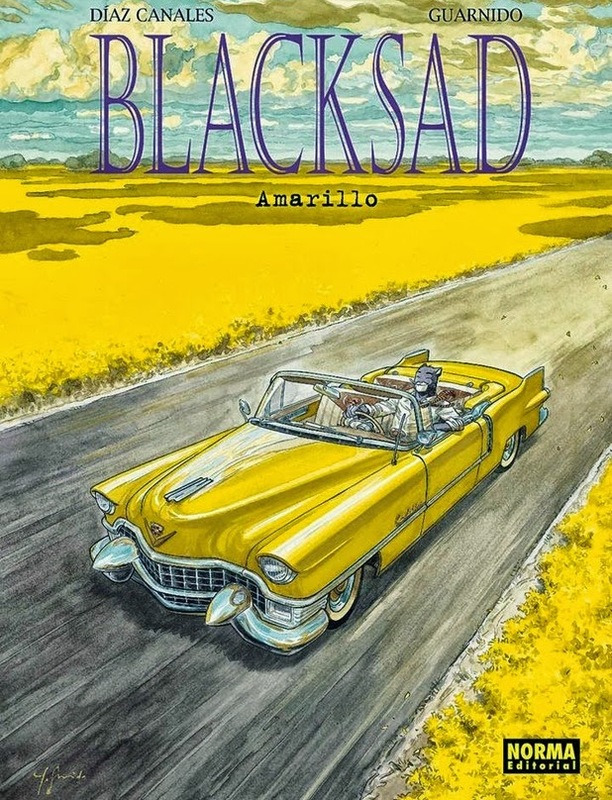 Guarnido and Canales have gone for a spin on the road-trip here, as Blacksad is hired to deliver a car across the country, but becomes mired in crime and killing as per usual. More here and here.